FABQs: Is Beekeeping Legal in My Area? Lawmakers haven’t always been keen on honey bees, allowing over-compensatory safety concerns to overshadow the benefits they bring to our communities. In 2006, dramatic colony losses pushed honey bees into the spotlight, prompting them to revisit urban beekeeping regulations. Today, beekeeping is legal in most places, though many city and state governments require permits - all with their own set of practical requirements. Check with your local government to learn beekeeping laws in your area. The easiest way to do this is to run a Google search on your local beekeeping laws. If you live in the Portland metro area, check out this permitting guide put together by our wonderful Portland Urban Beekeepers (PUB) association. If you are not local to Portland, your local beekeeping association may have similar resources that are pertinent to your area! If your search yields no results, chances are that there are no laws regarding keeping bees, and you can proceed without acquiring a permit. To be extra sure, consider calling your city hall to speak with someone who knows about livestock regulations. If you do not need a permit, we still recommend informing your neighbors of your beekeeping plans. Providing them with some educational materials (like this) might help preempt fearful reactions, and you can also educate them on how to respond they find a swarm on their property. Pro-tip: nervous neighbors can often be bribed with honey! 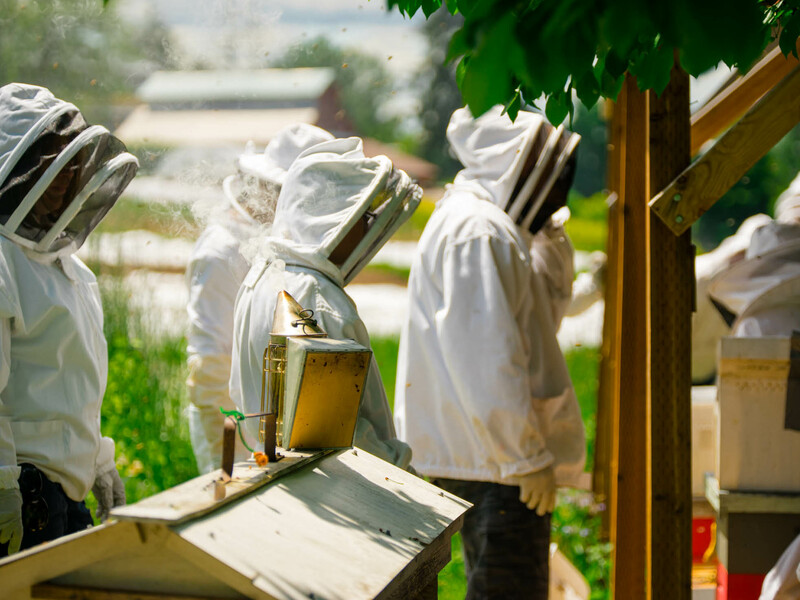 Finally, if you live in a community regulated by a Homeowners Association, you will need to make sure there are no specific rules in place pertaining to beekeeping. If there are no explicit rules in place, sometimes it’s better not to bring it to their attention. If that is unavoidable, provide information about how your bees would benefit the community, and arm yourself with some goodies to grease the wheels! Unable to keep honey bees, but still want to help? Check this out!